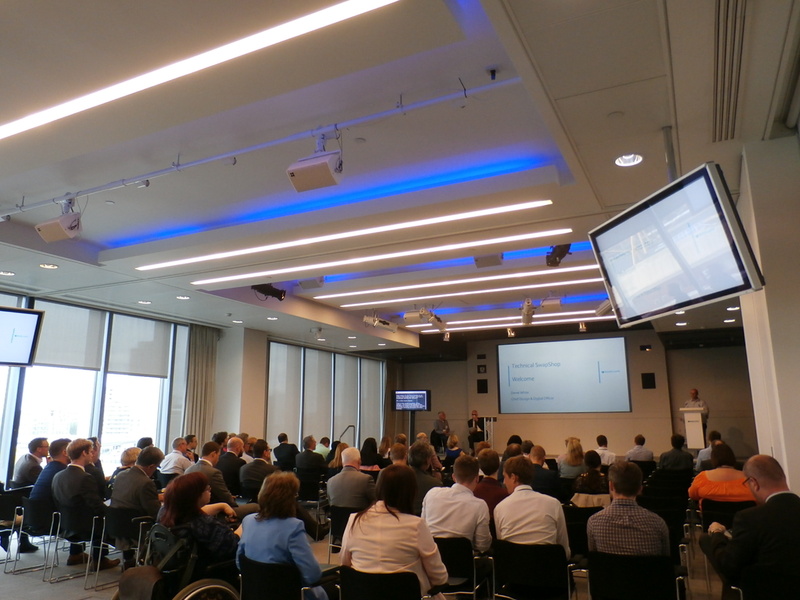 Generously hosted by Barclays at their Canary Wharf HQ, Business Disability Forum’s (BDF) annual Technical Swapshop got underway recently promoting an exceptional array of assistive technology solutions. 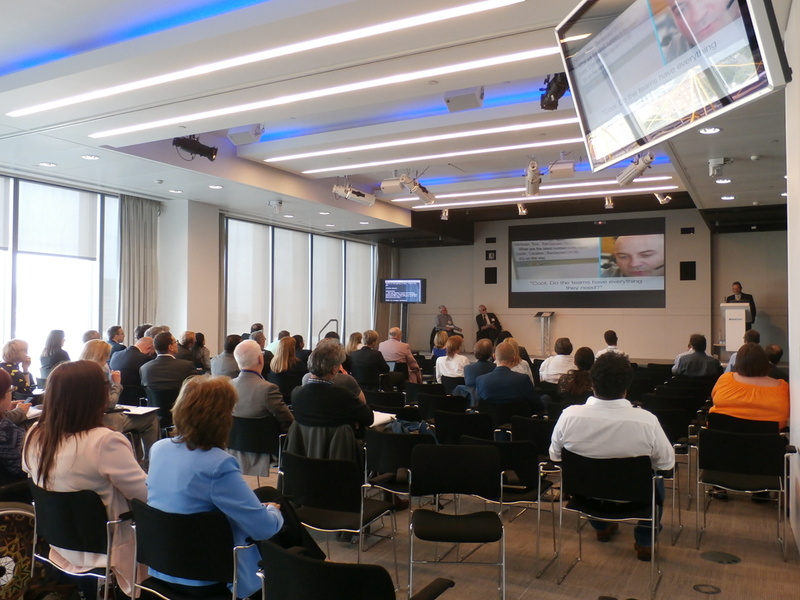 Chaired by BDF Associate Rick Williams, attendees were offered the opportunity to hear personal perspectives on the use of assistive technology (AT) and find out about the range of products and services available. 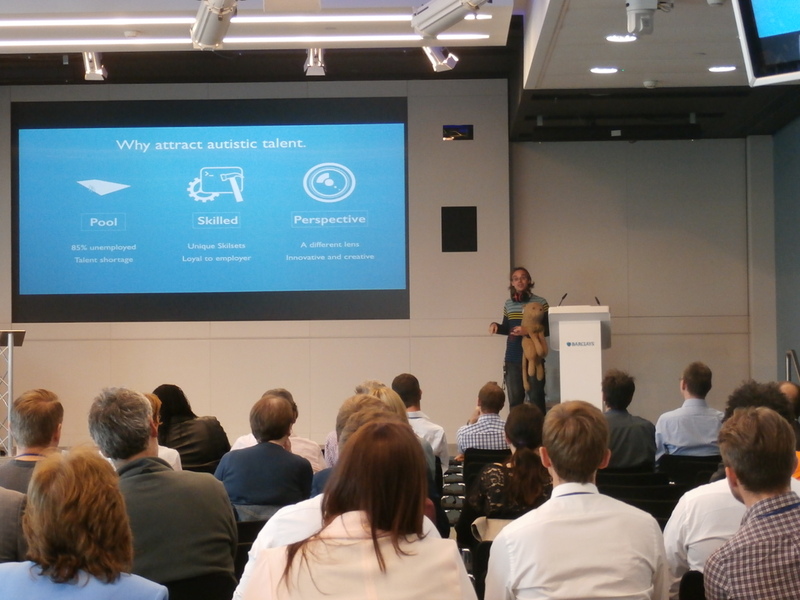 Derek White, Chief Design Officer at Barclays, introduced the event by discussing how AT provides endless benefits for disabled people and non-disabled people also. Using the example of Barclays’ Talking ATM machines, Derek asked if any members of the audience had used this audio function when using a cash point. As several members raised their hand, Derek then asked if anyone in the audience had ever experienced difficulties when using an ATM machine in bright sunlight. As everyone in the room raised their hand, Derek was able to illustrate how AT works to the advantage of everyone. Moving onto the presentations, Jamie Knight, Senior Accessibility Specialist at the BBC (and his constant plushie companion; Lion) began with a discussion about autism in the workplace. Jamie – who himself has autism, gave his personal insights of coping with autism and also the benefits of using AT. To reduce sensory distractions in the office, Jamie uses specialised ear defenders. Unlike listening to music through standard headphones, ear defenders allow the wearer to hear a person who is talking directly to them whilst also blocking out unwanted background noise. Jamie also suggested that having a good level of understanding and flexibility is vital to ensuring an autism friendly workplace. For him, this means often working from home and only having to travel to the office when necessary, ensuring he is not continuously interrupted when working on a project and also having the support available to find an effective work/life balance. Next to present was Katherine Innes, Business Development Executive at AI-Media who spoke about live event captioning and Simple Text. As AI Media were providing live captions throughout the Swapshop itself, Katherine was in prime position to talk about the range of advantages the service provides. Simple Text is a live captioning tool specifically designed to help individuals with autism and Asperger syndrome. Simple Text removes metaphors and figurative language and breaks down complex instructions into simple steps. To illustrate how Simple Text works, Katherine read aloud a piece of text that used a range of complex metaphors and colloquialisms. However, just seconds later when the live captions appeared on screen, the text had been broken down into clear and direct sentences. The Swapshop then took a break to spend some time visiting the exhibition stands of AT suppliers, including Microlink that had bought along some alternative AT solutions that might support those with autism. Following on, the audience was joined by Gareth Ford-Williams, Head of Accessibility, User Experience & Design at the BBC. Gareth – who himself has Attention Deficit Hyperactivity Disorder (ADHD) gave a presentation on the ways in which organisations can create a working environment that reduces difficulties and distractions for employees with ADHD. Describing his condition as a “continuous sensory overload,” Gareth recommended the use of wireless noise cancelling headphones to remove audio distraction in the workplace. Gareth also suggested that companies should allow their employees to work flexibly, for example working from home, or working remotely. In terms of visual distraction, Gareth suggested that using neutral colours and patterns in the office space, as opposed to bright colours and highly distractive designs also helps to reduce sensory distractions for employees with ADHD. Lawrence Keltie, Sales Executive at MatchWare presented the company’s mind mapping software MindView. MindView is a tool that can assist people with autism, Asperger Syndrome and dyslexia to effectively organise their workload through the use of diagrams and visual representations. MindView helps to breakdown complex information into manageable tasks, which, in turn, helps to highlight the most effective way in which tasks can be ordered and approached. For employees with dyslexia, this is particularly beneficial as the disability can cause difficulties in terms of information sequencing. 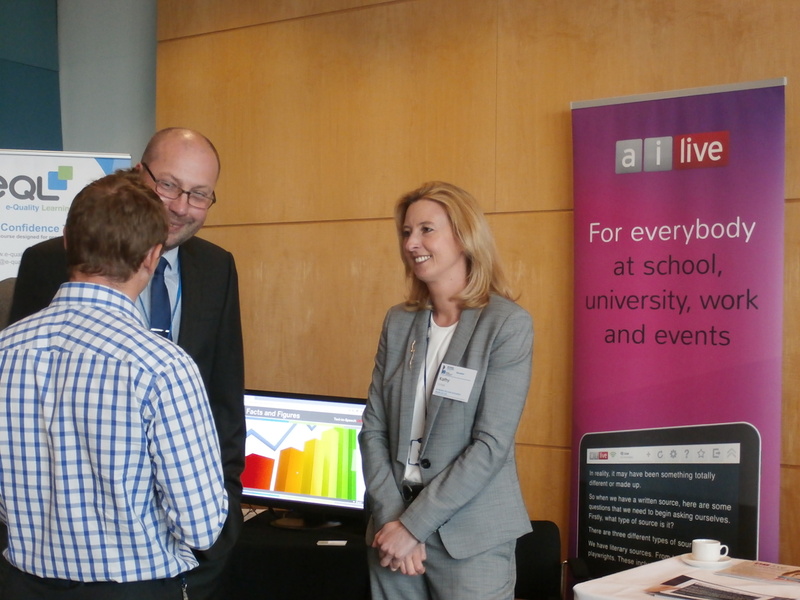 The audience was then joined by Rebecca Morgan, Senior Accessibility Analyst at the Digital Accessibility Centre (DAC). Rebecca spoke about her personal experience of being a wheelchair user and how it has affected the way in which people perceive her. She talked about how she was able to gain her Degree and how she now uses AT in her job working for DAC. She now provides accessibility user testing using Dragon NaturallySpeaking software. She has been able to turn her disability into a real advantage and is able to utilise the AT tools that she uses to help others. 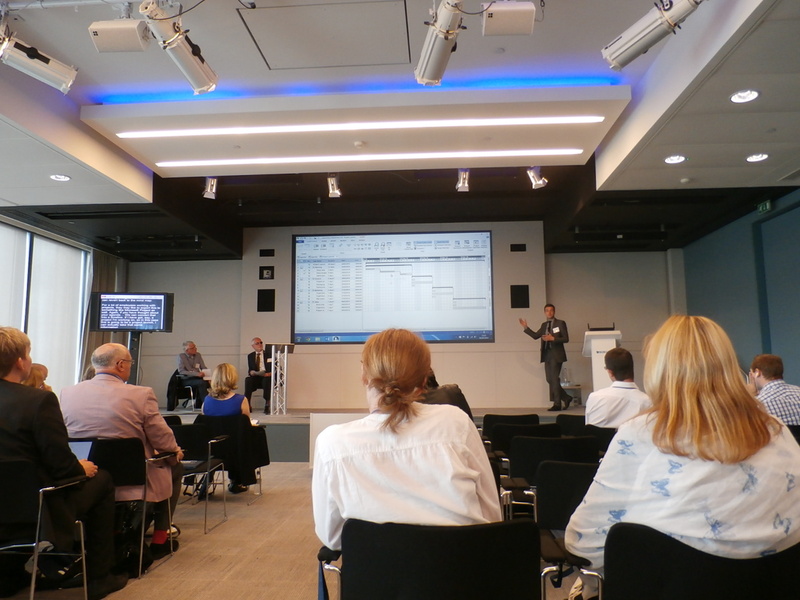 Next up, and presenting one of the most popular products on the AT market, Jonathan Whitmore from Nuance took to the stage to present Dragon NaturallySpeaking. Dragon software removes the need for traditional typing and allows users to operate their computer using just their voice. Using a wireless headset, Jonathan exemplified the software’s sophisticated abilities, operating the computer with just his voice. Not only did he show how much quicker dictation is, compared to even the fastest typists, he also demonstrated how you can open up different software packages and navigate around the computer packages with ease. For individuals with physical disabilities including shorter arms, dexterity impairments, visual impairments, and/or mobility impairments, Dragon technology offers vital assistance and helps to ensure digital inclusion and accessibility. Cam Nicholl, Director of Sales and Service Development from the Digital Accessibility Centre (DAC) also spoke about building in empathy with developers. The developers within our organisation are the key to embedding accessibility technically. If we can ‘win them over’ and explain to them what a difference it makes to individuals with impairments, then they will build accessibility into their design, as they would do with security requirements. Cam showed us a video of Ziad and the difference that AT has made to him personally http://www.digitalaccessibilitycentre.org/index.php/videos/42-screen-magnification-demo. Finalising the presentations, Kathryn Townsend, Strategic Transformation Leader at Barclays spoke about the excellent work Barclays have been doing regarding disabled customers. Discussing the use of Beacon Technology – whereby disabled customers can inform the bank of their requirements through an app on their phone, Kathryn also discussed the recent launch of Barclays in-branch SignVideo service. Barclays’ deaf customers can now enter their local branch and communicate directly with a SignVideo BSL interpreter via an iPad video call. The interpreter then relays the conversation to the Barclays advisor and vice versa to the customer. This initiative has revolutionised the way Barclays’ deaf BSL customers can carry out their banking and fully supports Barclays aim to be the most accessible and inclusive bank. 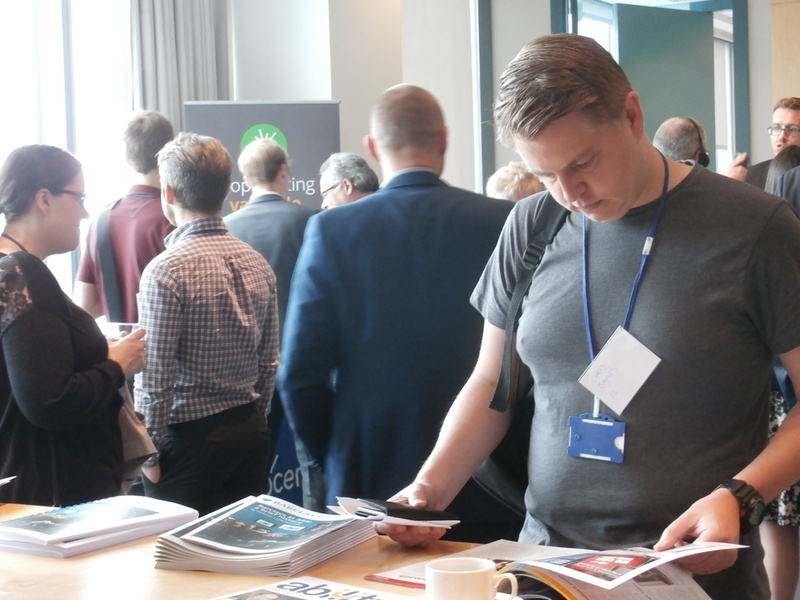 The Technical Swapshop will be back in February next year to showcase the latest advances in AT. We look forward to seeing you there! This entry was posted in Post-event round up and tagged accessibility, assistive technology, Business Disability Forum, Technology Taskforce by disabilitysmart. Bookmark the permalink.